Hello! I’m a journalist and anchor with over five years of experience on all platforms. I’ve worked for magazines, online news outlets, and newspapers. I have also appeared on SKY Television broadcasts multiple times as an expert commentator, and presented hundreds of technology videos for Shiny Media, whose channel has over 36 million views on YouTube. I’m primarily a technology and beauty journalist, with an emphasis on social media. I specialize in writing for the web and have an in depth knowledge of creating SEO friendly copy, optimizing images and planning social media campaigns. I frequently consult for a variety of top brands, sharing my expertise and info on the best way they can reach out to consumers and journalists, and how to conduct a successful campaign I have been a judge for a number of high profile events, including the UK Beauty Awards 2010 and the UK Beauty Awards 2011, as well as the GSMA MWC Mobile Gaming Awards held in Barcelona. I write about technology trends and review gadgets, sharing my knowledge on cameras, eBooks, mobiles, and whatever else is new and exciting in the techsphere. I’ve moved from editing girl gadget site Shiny Shiny to working as Staff Writer for Stuff Magazine, and was most recently the Assistant New Media Producer for London2012.com, where my days were spent working on social media campaigns, spearheading the London 2012 geo-location strategy, providing daily updates to the site and ogling David Beckham when he came to visit (happened once). On what seems like the opposite side of the spectrum (but with more in common than you’d think) I write beauty and technology articles for various websites and magazines. I was the editor for top UK beauty blog Kiss and Makeup for over four years and have contributed to a variety of publications including SHE Magazine, Men’s Health Magazine, Psychologies Magazine, Reader’s Digest, Stylist, and Catwalk Queen. 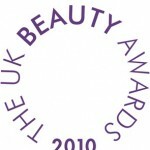 I focus on the latest in beauty and health news, from celebrity trends to catwalk analysis and product reviews. I concentrate on new releases and scientific breakthroughs in this world, which includes diet and fitness, electronic beauty tools and cosmetic surgery. I write entertainment and lifestyle reviews for Le Cool , a weekly compendium of what’s going on in the alternate London scene, and was the Theatre and Arts reviewer for the Epoch Times UK newspaper for a number of years. I love the colour purple (even though I never wear it) frozen yogurt and beating people at Tekken. I spend my free time doing what I’m paid to do, which basically means I’m in the perfect career. You can see samples of my work on the Portfolio page, and if you’d like to contact me regarding job opportunities, quotes, consulting, or freelance work please click here.